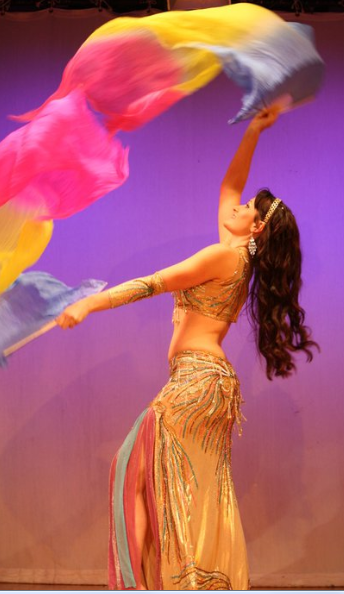 Liven Up Your Event with a Glamorous Bellydancer! 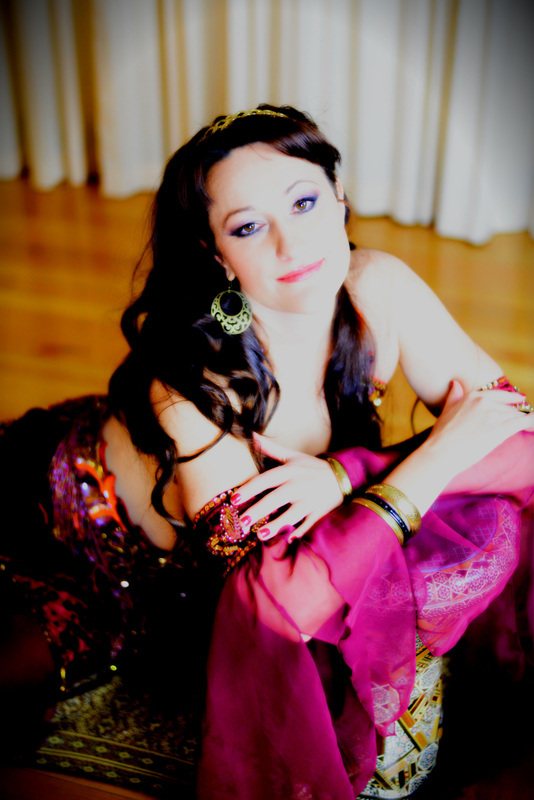 Kaylah offers belly dance performances suitable for your event e.g. birthday party, anniversary celebration, engagement function, baptism party, wedding, family party, corporate function, festival, restaurant or other special occasion. Kaylah is available to perform in the Melbourne area. Kaylah will bring her own music, however if you have live musicians she is happy to dance to their music by prior arrangement. A wide variety of music is available including Egyptian, Lebanese, Moroccan, Turkish, Greek, Indian, Arabic Pop, Traditional and Contemporary. The first half is a choreographed show which can include colorful silk veils, beautiful isis wings, finger cymbals and an exciting dance to drumming music. During the second part of the show guests are invited to dance with the bellydancer. This is our most popular show for large venues and events such as weddings and big celebrations. Perfect to surprise someone and give them a truly unique gift. This show includes surprise entrance by the bellydancer, dancing with silk veils, fast paced dance, plus time for everyone to join in the dancing. Classy and family friendly, this option is fun and ideal for smaller parties. It is our most popular show for birthday or dinner parties at home. Two belly dancers in a stunning show! The first half is a choreographed show which can include colorful silk veils, beautiful isis wings and an exciting drum solo. During the second part of the show, the dancers move amongst your guests entertaining and inviting them to dance. This option is perfect for large venues, weddings and events with more than 50 guests. Live drummers and dancer! 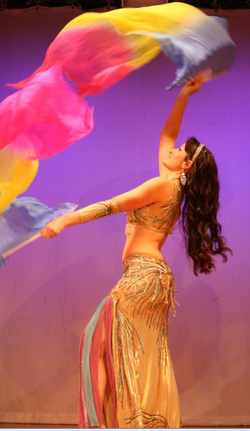 The first half is an Egyptian style dance including veils, a traditional bellydance and an exciting drum solo. During the second part of the show, the dancer moves amongst your guests entertaining. This show can be done with 1 drummer or up to 5 drummers. Perfect for parties, outdoor events and festivals. Our drummers are really something special! Visualise your music with a dancer. We have worked with Middle Eastern drummers, violin and flute players, Lebanese singers and Greek bands. Musicians please contact us with your idea. If you having a live band at your function you can hire us to accompany musicians or get your guests up dancing! At your event our belly dancers and drummers can provide authentic roving style entertainment or create an Arabian or Moroccan atmosphere. We can dance, entertain or help generate interest for your business or hand out your products. Perfect for trade fairs, product launches, Arabian Nights Theme Party, Moroccan Theme functions, community festival or other special events. 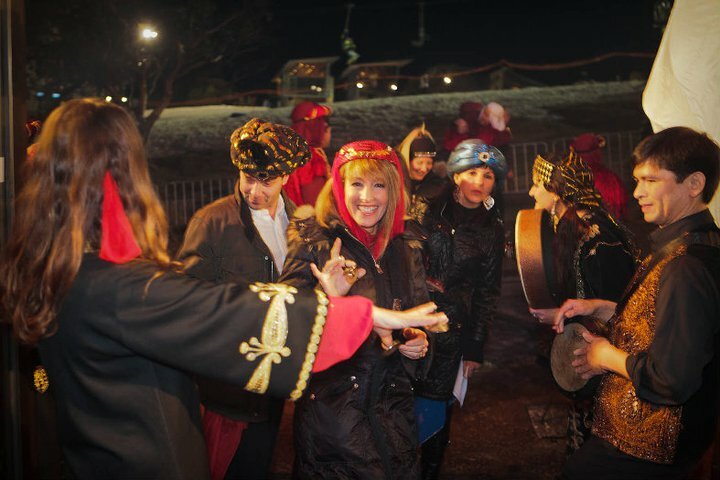 Options include an Arabian Scene with drummers and dancers to greet your guests when they arrive at the entrance to your venue. Another popular option is to combine the meet and greet option with a bellydance floorshow later in the event. Please contact us to enquire about having a bellydancer at your venue. 1 hour group lesson packages are available. Belly Dancing Parties suited to women’s and girl’s gatherings such as Hen’s Night's, Girl’s Parties, Sweet Sixteen Parties, Kitchen Tea's & Bridal Showers. For more information see Bellydance Parties. Make your party or event a memorable one. 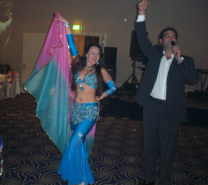 Hire a belly dancer to add the finishing touch to any party. Kaylah and her team are available to perform in Melbourne, Geelong and other regional areas. National and International shows are also available. It is suggested that bookings be made well in advance, especially for Saturday nights. All our dancers provide family friendly shows and do not perform at men only events. We wear stunning, jewel covered costumes from the Middle East. Although most people prefer the two piece costumes, we have more covered-up costumes if the client wishes. Please advise us when booking if you have any particular requests. Thank you so much for your performance last week, the residents are still talking about it being one of our best functions this year. We will certainly keep you in mind for further cultural days throughout next year, and thank you again for being so co-operative, professional, and personable with our residents on Arabian Night Restaurant Dinner. More Feedback & list of some previous shows and performances here.